Darien, Connecticut is a town located along the state's famed "Gold Coast." This affluent Fairfield County community is between Stamford and Norwalk. 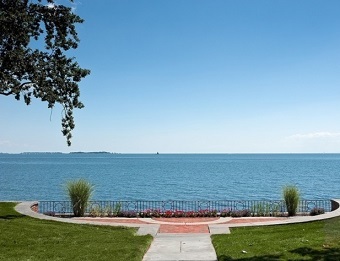 In 2011, Darien was ninth on Money Magazine's list of the "top-earning towns" in the U.S. Many residents are professionals that commute to Manhattan. The discriminating home buyer will find everything from million dollar 19th century mansions to elaborate waterfront estates among the Darien homes for sale. Many of the Darien homes for sale are situated on large, professionally landscaped lots. 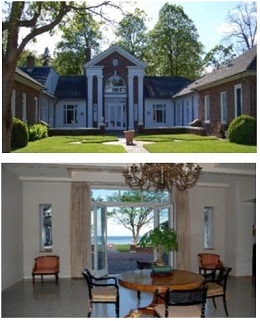 Darien properties include some ultra-luxury homes that are priced in the eight figures. Many homes in Darien were custom-designed by well-known architects. Much of the real estate consists of expansive homes with more than 5,000 sq-ft or living space. Given the exclusivity of much of the Darien real estate, working with a local realtor with detailed knowledge of the area is vital. The luxury and diversity of Darien CT real estate will excite even the most demanding of home buyers. In the 1640s, land was first cleared here by settlers from the Wethersfield and New Haven colonies. The first church, the First Congregational Church, was built in 1740, and it still stands to this day. During the Revolutionary War, Loyalists took over two dozen men and confined them for five months. One was Rev. Moses Mather, pastor of the parish. The community grew as the railroad arrived in 1848. Once the Civil War was over, the area gained favor as a vacation retreat for busy New Yorkers. Fun Facts: If you want to sound like a local, be sure to pronounce the name as "Dairy Anne." Famous residents of Darien have included Charles Lindbergh, CBS news anchor Scott Pelley, and Andrew Carnegie. Leisure time opportunities abound in Darien. There are two yacht clubs, a hunt club and four country clubs here in addition to the public beaches running along Long Island Sound. Selleck's Woods and Dunlap Woods together form a 50-acre nature preserve. Seven different eco-systems are concentrated in this area. Visitors hike the two-miles of trails to experience in excess of a hundred plant species scattered amidst marshes, prairies, swamps, streams, ponds and wooded glens. Cherry Lawn Park is a 27.5-acre facility off of Brookside Road. The modern playscape will keep children busy at play for some time. The hiking trails offer quaint views of the pond. The gazebo is a beautiful backdrop for family photos. The Darien Nature Center here offers educational opportunities. Residents an reserve plots in the community garden here as well. Picnic areas, basketball courts, ball fields and soccer fields add to the variety of experiences to be enjoyed here. Only a couple of miles from Darien is the Terry Connors Rink, a premier ice skating facility. The rink hosts hockey games and figure skating championships. Lessons are available for young, developing talents. Just a few miles away is Stamford's Center for the Arts. Ballet companies, touring plays, comedians and dance troupes help to fill the calendar throughout the year. On Super Bowl Sunday, Chowdafest, a charitable event, is held in Bridgeport. Attendees can sample over 30 different bisques, chowders and soups as money is raised for the local food bank. Darien is truly one of the jewels of New England and the Eastern seaboard. If you're looking in Darien, you should make the call to Barbara Wells and the real estate office of Houlihan Lawrence, 203-912-5644. They are experienced pros in all of Fairfield County, and have the latest information and best deals. You can be in an elegant Darien home before you know it! For information on homes for sale in Darien CT, please fill out the form below.